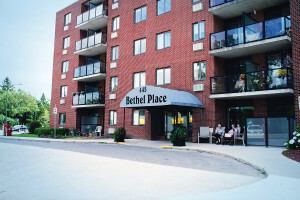 Bethel Place is a non-profit, vibrant and affordable home where seniors can live independently within a supportive community. Since opening our doors in 1980, we have remained dedicated to respecting the wisdom, talent and individuality of seniors, while supporting an approach to wellness that takes into account the physical, intellectual, emotional and spiritual needs of all our residents. With the support of our founding churches, Bethel Place is guided by Christian values and welcomes seniors of all faiths to join our community. Bethel Place is Part of a Complete Breakfast!